By Xah Lee. Date: 2018-11-23 . 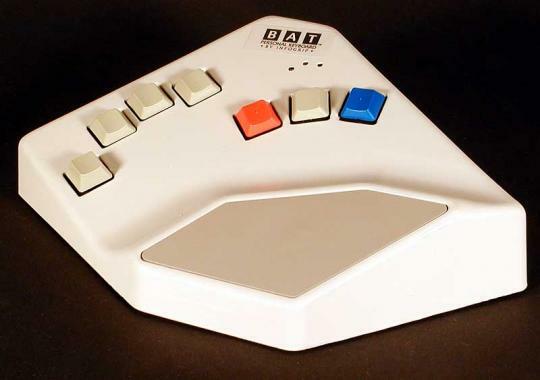 The BAT Keyboard is made by Infogrip in the 1990s. 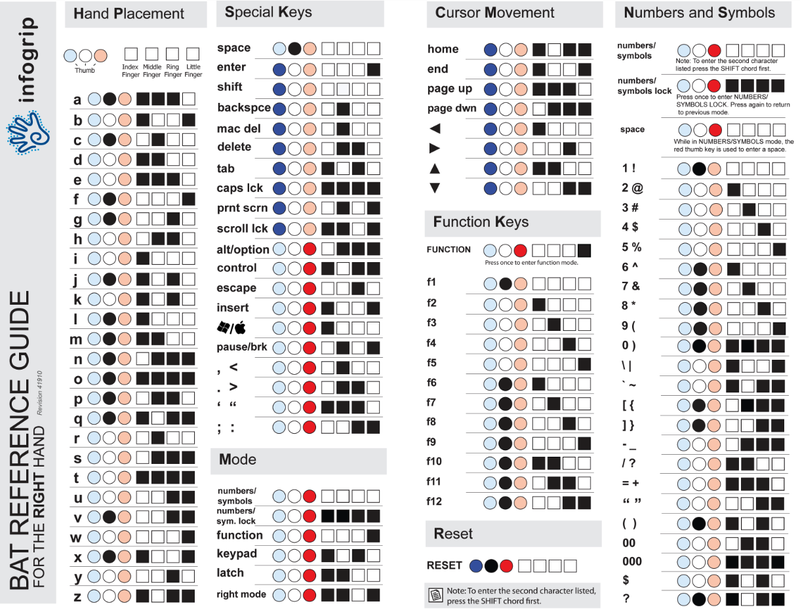 BAT Keyboard is a one-handed chorded keyboard. 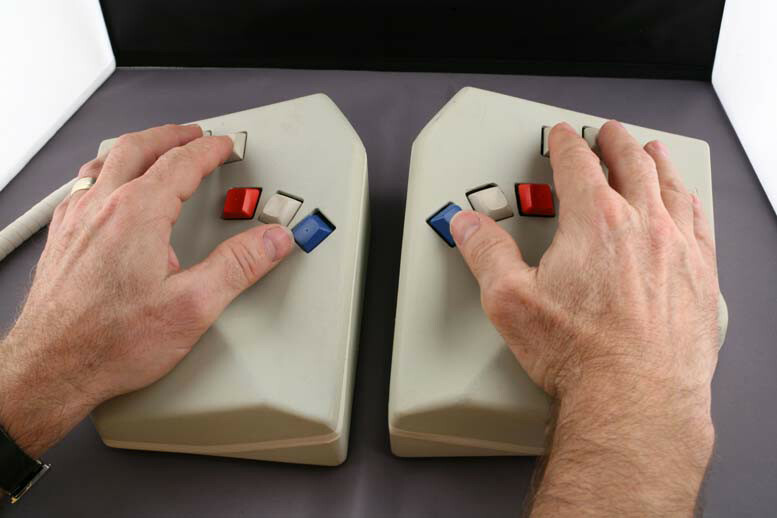 You press 1 or more keys together to insert a letter or symbol. There is a right-handed version and also a left-handed version. It's supposed to solve the hand health problem of typical keyboard. 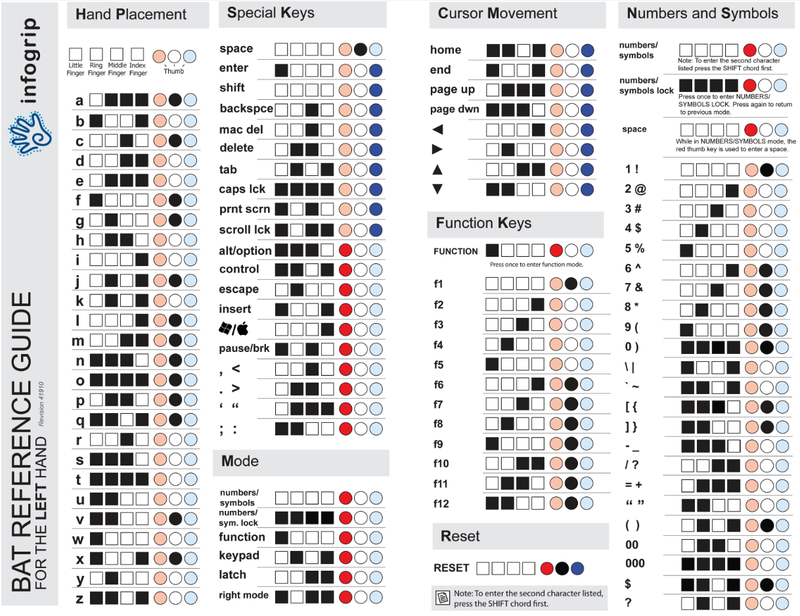 It needs ~3 times more keystrokes for the same amount of input. it's at least 2 times slower than touch typing using standard PC keyboard.